A popular choice for all water sports clubs. A BEST SELLER! Comfortable in any situation, the New Matic 360 likes the difficult jobs. Its sturdy construction and easy maintenance puts it at the top of its class. Well-equipped, it adapts itself easily to any condition on the water. Stable, quick, practical – tiller operation. Our bestselling rescue model! 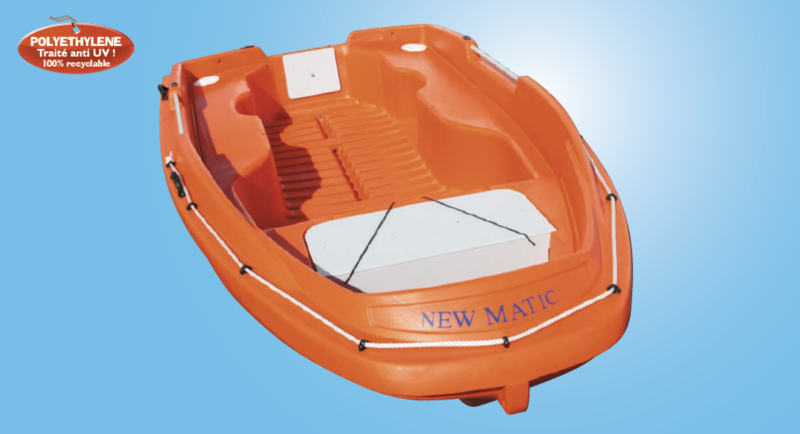 The New Matic 360 features an extremely solid twin layer construction. Fuss-free maintenance makes this boat a favourite with many yachting, water-ski, diving and rowing clubs. Practical, versatile and extremely stable. This boat will take between 3 and 6 people comfortably.